The final month of the Save The Bees BOM is here! What a fun block of the month this has been. Jacquelynne Steves has once again been a generous hostess as well as a talented designer. Many thanks, Jacquelynne, for making this all happen. Make sure to visit her here for the latest BOM information. Keep reading to the end of this blog post to find out about this month’s giveaway. The final assembly instructions are given for this month which include pieced borders and applique. With family in town for Thanksgiving and being sick for two weeks, I have only put together my blocks with sashing. I rarely miss a deadline, but I just have to let this one go. It’s still exciting to see all of my blocks together, though! They are so adorable all together, don’t you think? Because it’s the holiday season and I’m pressed for time, I’ll forgo the pieced border and use a cute bee print instead. I found this fabric (on sale) at Cherry Moose Quilt Shop in Lincoln, California. It’s by Windham Fabrics and it’s called Bee My Sunshine, Pattern #43314. Worth mentioning is this cute pillow pattern, All A Buzz Pillow, designed by LJ Simon that is a freebie on Windham Fabrics website. You might need to make this pillow to match your quilt! Let’s get back to finishing my quilt. I don’t know how I’ll do the applique, but I’m considering using the Pentel Gel Roller for Fabric to write or draw the letters onto my bottom border. You can read more about how I used this pen in my previous blocks here. This month’s giveaway has two options – one for international winners and one for US winners. If you live in the US, you will receive a fat quarter bundle of Prettiful Posies by Sarah Maxwell for Studio 37. If you are international, you will receive a printed pattern bundle also by Sarah J. Maxwell. For my blog, all you have to do to enter the giveaway is leave a comment by Sunday, December 9, 11:59 pm PST, on THIS blog post (not from my home page). The comment can be anything you want to say! To leave a comment, make sure to scroll down to the bottom of this blog post, and look for the rectangle that says “Enter your comment here”. On December 10, I’ll randomly pick one winner! To enter, leave a comment telling me anything you’d like. You must comment by 11:59 pm PST on Sunday, December 9, 2018. In January, Jacquelynne Steves will have a huge grand prize giveaway to wrap up this BOM. I’ll let you know when that’s available. Thanks for following along and happy quilting! I love your fabric choices for the Save the Bees project. Julie, I think I love your quilt the very best. Hello! I don’t know how I missed all his fun but love the quilt. As a huge environmentalist I love your quilt and happy for the attention to the plight of bees. I have bookmarked your blog and will be checking in frequently. I love your ideas, patterns and sewing methods. Thank you so much for sharing your wonderful work and ideas. Merry Christmas! Wasn’t Save the Bees fun? I love the way your quilt turned out! I thank you very much for this give away . . . looks like wonderful fabric! I also thank you for your blog. I always thoroughly enjoy reading it. Love your Bee fabric. It will look great for your quilt border. Thank you for participating in this Sew along. I love your colorway! It is great! I like yours choise of fabric! I love your color selections for the quilt. I like your block of the month project. It looks great! I love this pattern and the name Save The Bees. What a delight to see how unique all the color choices are. Thank you for sharing . We must save the bees. This quilt series is a delightful way to spark interest in the topic. Fingers crossed I win this month. My guild in Napa is putting together donated quilting supplies to distribute to Camp Fire victims; the local quilt shop in Sonoma (Broadway Quilts) is organizing a quilt drive – check out its website for info on that effort. I’m a total newbie quilter, but I look forward to trying this one! Perhaps as a charity quilt for the local ecology association. They can raffle it as a fundraiser. I have enjoyed all the various versions and creative process of the quilts. Save the Bees is so adorable. So many possibilities. I love your fabric selection for the project. So nice to see it all together. Love the Bees quilt, any block would make a great stand alone wall hanging or table topper! I really like your fabric choice of gray, black, white and yellow. Just stumbled upon you from your ombré heart block tutorial. So many possibilities! I really like your choice of gray, yellow, white and black fabric. It gives the quilt a very different look! Love it! This quilt really turned out well. I love your choice of colors. Also, Julie, I need for you to change my email address. The new one is kerrgirl@gmail.com. Thank you for all you give to the quilting world. Enjoyed following your bee progress. Love the Bee My Sunshine fabric! It is just perfect for this project. Thanks for sharing the freebie matching pillow. Your fabric is so cute. I have used a permanent pen to draw eyes on a baby quilt. Your blocks are so nice and I love the border print you will be using it is perfect with the blocks. Love your colors — hope you are feeling better! What a great batch of colors, for the giveaway. Enjoying the save the bees quilt blog. Wonderful colors and love the extra detail! And Thanx for the pillow pattern! I have really enjoyed seeing everyone’s progress on these cute blocks! You did a great job Julie. The theme as well as the final product is beautiful. I hope you feel better and am wishing you and your family a Merry Christmas! Love the Save the Bees Theme. The bee fabric used on the All A Buzz Pillow is stunning! All the quilts are beautiful!! I have to catch up in January–enjoy the holidays! Love your fabric! This turned out so cute! I love your color choices, thanks for sharing your ideas on your blog. Love your color choices. And thanks for all the great Christmas ideas! I love the fabric colors you chose for your “Save The Bees” quilt. Very attractive. Thank you for your blog. I enjoy your posts. How fun to see how each fabric make the same pattern so different. .love your choice. I am so far behind!! I like seeing how your quilt is coming along. Wow! So enjoy seeing your fabric selection; each of the bloggers have striking quilts. 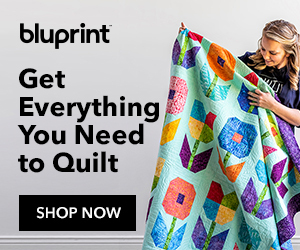 Your quilt top is beautiful and the bee print border is just perfect. Thank you, Julie, for telling and making us aware of the tragedies that so many have suffered . Reading Melinda Bula’s account made it so real and heart rending. My heart just goes out to those in California who have lost everything in the fires and disasters. Of course, losing a loved one- or not knowing the fate of those who are missing- is the ultimate loss. I just want to hug each and everyone and tell them that they didn’t do anything wrong or deserve this loss and that God loves them. Psalm 139 tells us how much He loves each person. I’m praying that He will comfort those who need it. I don’t have Facebook, but I want to help with needs of quilters. I’m sure it will be easy to find, as well as the We Care blankets at the address that you gave. My son and daughter in law raise bees and so I love this BOM! Hope you get to feeling better and you will. I am on my third round of shingles so things have been slow for me but have to make some burp cloths, baby blankets etc. for baby shower I am going to on Saturday. Thank you so much for all you do and enjoy your blog and cute items. I’m also going to make some pillow cases for the people in Ca. where they have lost everything. That’s my plan. What you have done so far looks very nice. Such a pretty quilt! And how sweet is your pillow-lovely colors! I just love your color palette. Those colors are in my sewing room. You continue to be an inspiration for my many quilt projects. Hi Julie! Your colour choices for this quilt are lovely. I’m impressed that you have gone outside of your comfort zone. Sometimes these become our favourites. Your quilt is adorable & I love the fabric you are using for the border! Thank you so much for showing us another way to do this wonderful pattern. Julie, your bee quilt is BEE YOU T FULL! Julie you are All A Buzz with delightful information! Love it. I have fallen in love with your quilt topper. Great job. Thanks for sharing the information on your border fabric! I so look forward to your blog!! Thanks for all your hard work and Merry Christmas! I love the border fabric! It’s super cute. And I forgot all about the Pentel Gel roller for fabric! I’m going to look for some today! Such a cute quilt you made. I’ve collected these blocks but haven’t had time to start it. A Pentel Gel Roller for Fabric? How have I missed that?? I’m excited to give it a try! Thank you! I’ve really enjoyed following your progress with the Bees. Hope you are feeling all better and enjoy the holidays! I really love your fabric choices and the border fabric is very cute. I would like to win a bundle to make a quilt for the local chapter of Quilts For Kids. I look forward to your blog. I do not do social media so it is nice to offer the give away to people like me. Beautiful work and I love the color palette you used! Your quilt is looking great. The border print you found is perfect! It’s so interesting to see everyone’s interpretation. The fabric in each one changes the overall look so much. Love it! Julie, Love all your ideas and help. Love the gray and black and yellow you chose. I like the fabrics you used for Save the Bees! I really like your border fabric with the honey ad bees! LOVE the Save the Bees border fabric you found! I love your quilt and the bee-utiful border print you found for it! Saving the bees is very close to my heart as we have hives on our farm. The bees are now huddled down for the winter which has certainly arrived here in Upstate New York. So anything to do with bees is the bees knees to me. You’re colour choice is so attractive and the border fabric just great. Thank you for the opportunity to enter this lovely giveaway. This was a fun challenge,accepting if there is just no time and make the best out of it,can be really positive. look at the beautiful bee fabric! I’m still working on mine and I also painted the words to safe time! Soon there will be one more present under the tree! Thank you so much for all your posts filled with inspirations! Thank you for sharing your creative and inspiring quilting ideas Julie! Hello Julie, Sorry to hear about how sick you have been. I hope that you are beginning to mend and feel wonderful for the Holiday. Your quilt is lovely, the fabric choices and colors are fabulous. Thank you for sharing. Have a wonderful day! I like that you champion bees! Thanks for sharing your tip and tricks and various projects throughout the year. I don’t comment often, but I appreciate you! You found the perfect fabric for your borders! I love it. I have the most difficult time determining fabric colors for a quilt. Because of that, I almost always start with the quilt pattern’s pictured colors and then make a tweak or two. I just love how you chose the greys, blacks and yellows for this quilt. I wish I had the confidence to do this. I keep reminding myself it’s only fabric and it’s OK to try new things. I love the grey in this quilt, but I would never have thought to use it. Can’t imagine being sick, holidays, and starting a huge remodeling project ! Sometimes life gets in the way of deadlines. Hope you are better now. I love your “Save the Bees” wallhanging!! and the fabric that you got for the back,,,neat!! I love that you have an international gift. I live in Nicaragua for the past year and quilting supplies are not available. I need to plan very carefully for all of my projects. Friends on vacation in the states always bring back supplies, or I take an extra suitcase when I go. Thanks for the chance to win!!!!!!!!!! In reading all my emails it’s always a pleasure to come upon yours! Love reading your posts and your projects are happy and inspiring. Hope you’re on the road to recovery, happy Holidays. Love the colors in your bee quilt. Hope you’re feeling better. And I seem to remember from a blog post in the recent past that there’s a major reno project underway at your house. Hope that goes smoothly. Thanks for all the info you share! Enjoy seeing all your projects. I’m a beginner quilter, and love seeing what I can aspire to. Thanks for your inspiration! Love your fabric choices…beautiful as usual! I had to skip this quilt along as i have focused on 2 others- BTW..did you every finish quilting your SUMMER mini? maybe i missed something-?? I wasas wondering about you as I hadn’t seen posts in awhile..hope you are feeling better. This is a busy month! The grey, black and yellow combination has been an absolute favorite of mine! Your quilt is beautiful and I love the fabrics. Pretty colours! I have enjoyed following you on this blog hop. I look forward to your weekly posts. Your are always working on fun projects. They always inspire me to go to my sewing room and start a project. Thank you so much. I love your choice of fabrics for your blocks. They’re perfect! I’m looking forward to seeing the finished project when you’re done. Best wishes for a joyous Christmas to you and your family. I do love how your Save the Bees quilt is coming along. This has been fun! Thank you for sharing your time and talent with us! Love the colors you used! Thanks for the info on the pens, too. Hope you’re feeling better!! I love your version of “Save the Bees”. All of these quilts have been so different and so beautiful. Thank you so much for sharing your time, talent and creativity with all of us ! Your attention to detail while making directions that are easy to understand makes piecing and quilting a joy ! Have a Wonderful Holiday. Look forward to new projects in the Happy New Year !! Julie, I love your topper and I don’t blame you for letting go this time of year, sick or not! It will be a fun spring time quilt to finish. Love the Bee patterns! Merry Christmas! This project brings back so many happy memories. My husband and I kept bees for a year or two. Then he became deathly allergic to bee stings and we had to get rid of our bees! I miss the honey! Thank you for your blogs! I love your quilting ideas, suggestions, patterns, and fabric selection. Julie, that turned out great! I need to get going on a quilt for my sister! The days are zooming by!!!!! I love your fabric choice for this BOM project! Many thanks for all your inspiration & quilting tips! Love reading your messages. Hope you recuperate quickly & get back to full out quilting soon. Merry Christmas to you & yours. I really like the colors and quilting methods you used for your quilt. It has been fun to watch the different styles come out rather than everyone’s looking the same. Thanks for the pattern. Happy Holidays! This is such a nice pattern–fun to see all the different colors! I love this little quilt, the fabric is so cute. That border fabric is just right for this quilt! I use that same black pen for labeling my quilts and for the signature quilts for my boys’ high school graduations. I love all your ideas, but most of all I LOVE quilting! Your border fabric is a beautiful choice. It’s been so interesting to see how each quilter’s project has turned out so different, based on fabric choices. Yours reflects a real restraint and what my mother would have called “good taste”, which was one of highest compliments. All of your blocks look lovely. What a fun and happy project! Love your sweet bee quilt! And hope you’re feeling better too. I like the gray and yellow a lot. Border fabric is adorable, too. Sorry you were sick and hope you are feeling lots better. Merry Christmas to you and your family! What pretty blocks. Really like the colors .I used to work in a beeswax candle factory and bees were our friends. How can an insect that produces such a sweet wonderful substance not be good eh? I love the Save the Bees block of the month. Honey bees are so essential to our way of life. I LOVE your color choices!! Picking out fabric is the hardest part for me because there are SO many to choose from. Love how your bees turned out! What is your applique method? Thanks for sharing another great project with fabulous techniques! love your color choices, makes the bees really stand out. Love your fabrics. . . . Happy holidays! This has been a fun BOM, Thank you so much for curating so many fun things! I’m just not good at finding things on my own! Hope you feel better soon! Love forward to seeing your finished quilt! very pretty & creative pattern! This is an adorable pattern Thanks so much. I love the “Save the Bees” BOM and for me it was perfect timing! I work with a large nonprofit organization that literally did “save the bees” by raising funds to get 7 shipments of sugar syrup to Florida for the starving bees from Hurricane Michael to keep them sustained while natural bee forage material could regrow. Am working on a smaller version of this for the office! My Save the Bees is similar to yours, yellows, greys and black. I love your gray fabrics. I found the fabric you used for your border also and am planning to use it in my quilt! The fabric you found is just perfect in my opinion. I love it. Thanks so much for sharing your blog on this hop and for the extra cute pillow pattern as well. Love your fabric color combination! Some of the Amazon reviews for the Pentel gel roller for fabric say it has bee discontinued. Do you know if this is true? Also do they tend to dry out rapidly? I think your Save the Bees project turned out delightful. Will be interested to see how you quilt it and I love the border fabric you chose. Julie – thank you for all the information and tips you include in your emails. I have learned so much from you and been exposed to other quilters and artists I would not have found without you. Merry Christmas to you and your family. That is a beautiful border that you’ll be adding to your Save the Bees quilt Julie! My father was a bee keeper and produced a lot of honey. This surely brings back a lot of sweet memories. I love the bee fabrics. Your quilt is coming along beautifully. I love the colors and fabrics you chose. I enjoy your blog, and the fabrics that you use in your quilts. Thanks! Love the cute bee fabric and blocks. Thanks for the free pattern!